They attack members of the public with hammers, machetes and crowbars, mount pavements to steal phones, watches and bags, use mopeds as battering rams to break into shops and they throw acid in riders’ faces to steal mopeds. These are not motorcyclists, moped riders or biker gangs; they’re criminals using bikes to enable their criminal activities. 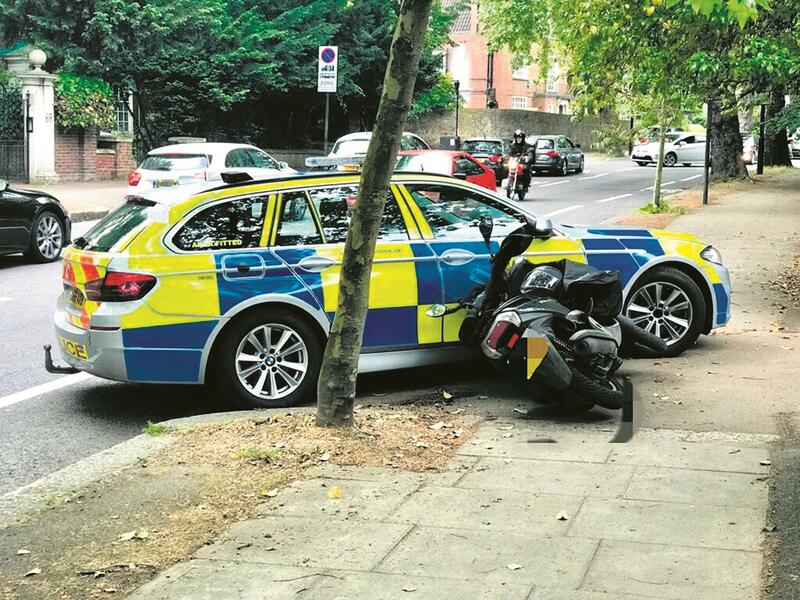 They are also the scourge of London’s streets, but the Met Police are now fighting back hard against those who steal and use mopeds... and it’s getting results. Do you agree with the new police tactic of knocking off scooter and bike thieves? Latest year-on-year figures for moped crime show that from January to October 2017 there were 19,455 offences across London, compared to January to October 2018 when there were 12,419 offences (7036 fewer); a fall of 36 per cent. The same trend is apparent when you look at the theft of mopeds, showing that in January to October 2017 there were 12,192 offences across London compared to January to October 2018 when there were 8261 (3931 fewer); a reduction of 32 per cent. While some have criticised the tactics, claiming that the police are ‘knocking kids off their mopeds’ and drawing some astoundingly crass criticism from the same politicians who were so recently bemoaning the police’s apparent lack of action; the overwhelming response from the general public has been positive support for the Police. Footage released last Friday by the Met showed the tactics in operation, with trained officers using their vehicles to stop criminals by blocking or ramming them when they failed to stop. Police use a range of tactics, including DNA forensic tagging and the use of ‘stingers’, but where a rider is presenting a danger to others and refuses to stop the new interventions will ensure they’re stopped forcibly. Commander Amanda Pearson of Frontline Policing, said: “The Met is at the forefront of tackling moped and motorcycle crime and I am pleased to see that we have seen a reduction in offences.